Published on 6 April 2012. 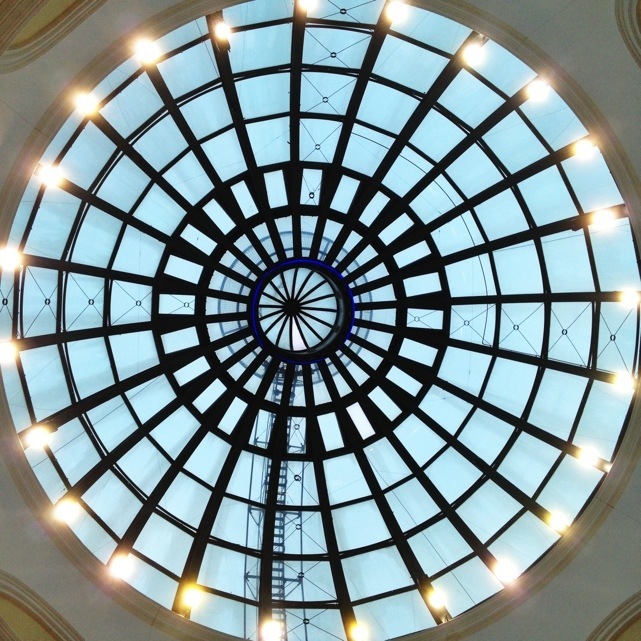 This is the central dome atop the Meadowhall shopping centre in Sheffield. Today marked my first ever visit to Meadowhall, and I wasn’t totally won over: it struck me as a little bit dark and cramped. There were plenty of free parking spaces, suggesting it wasn’t full to capacity; it must be a nightmare with Christmas crowds! This 1,594th post was filed under: Photo-a-day 2012, Retail, Sheffield.